1. Spice Mix Of The Month "Homemade Steak Rub"
If you want to add great flavours and aromas to your grilled steak, then a homemade steak rub is the way to go. Store in an airtight jar out sunlight and use within 3-6 months. Click here to see other dry rubs on my site. 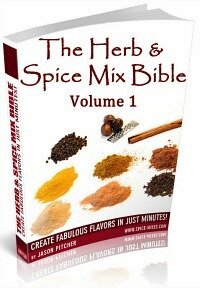 Here's a link to my recipe book for making homemade spice mixes and blends. It has 50 recipes ranging from the basic to fairly complex. Comes complete with 4 bonus books all written by me! 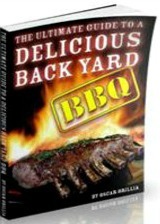 Here's a link to a BBQ book I recommend. I've revamped a lot of my website and I've just finished the oregano pages that you may find interesting. If you like this e-zine, please do a friend and me a big favour and "pay it forward." the newsletter sign up page. Build a Website & Earn Money! Would you like to build your own website? Maybe you have a hobby, knowledge to share or even make things you'd like to sell. A year ago I had no idea about building a website. And now I'm sharing my herbs and spices knowledge and earning a few extra dollars along the way!